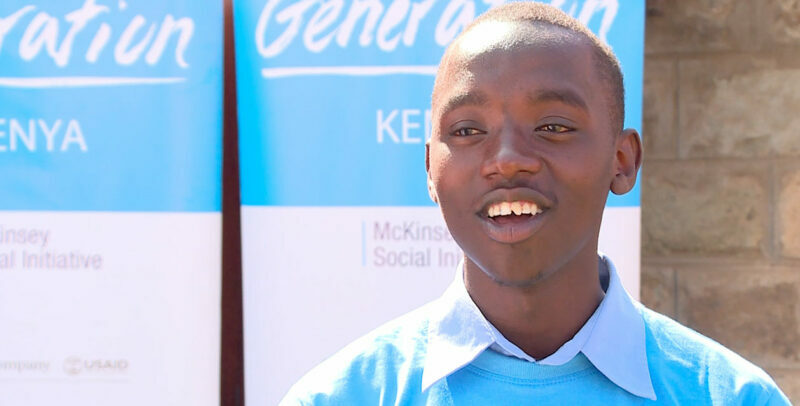 Wesley joined nearly 2500 other Generation Kenya students in graduating in December. Graduation ceremonies were held on December 16th in five locations across four cities: Nairobi (Buruburu and Jamuhuri), Mombasa, Nakuru, and Nanyuki. Students were celebrating the completion of programs to obtain financial services sales, retail & restaurant customer service, and consumer good sales roles. To date, 94% of Generation Kenya’s graduates have obtained employment with more than 100 employer partners. Generation Kenya is funded by McKinsey & Company and USAID.